John Robinson MBA MSc DipM FIEx (Grad) is Chair of the Academic Board at the Institute of Export, where he is also currently Chief Examiner. John also runs a small export consultancy in the East Midlands specialising in marketing and export controls for high-tech companies, as well as being one of the specialist trainers for his local Chamber of Commerce. A massive range of products need to be modified in some way if they are to be presented successfully into a new overseas market. Making sure you have product modification in mind when doing your product planning and development is therefore key. The range of possible modifications to make to focus in on any one product is potentially huge – or indeed for any service service, though these require special attention. It is helpful to adopt a systematic and methodical approach by finding out what are the technical and/or cultural modifications necessary? Some technical modifications are obvious – electrical supply voltages, for example – but others may not be and are often required by the introduction of local market ‘Standards’ for a range of goods – much as we have adopted the “CE” mark in the UK. Your local Trade Association might be the best placed source of up-to-date information on this issue. Alternatively, very broad technical requirements might be found in the reference books produced by Croner or Tate. Others are considered to be “too well known to be stated”, for example electrical plug styles. They are all nonetheless extremely important to success. The culturally generated modifications are more difficult to pin down but many of them are centred on educational levels and language. For language, there are some well-known bloopers – the Vauxhall Nova not selling well in Spanish speaking countries (as “nova” means “not going”! ); and both the Rolls Royce “Silver Mist” car and Clairol’s “Mist stick” hair curling tongs not selling well in Germany where “mist” means manure, or a slang version thereof. Our articles on the role of translation when entering new markets and how to translate your marketing materials for export success may be useful. Educational considerations do not mean simply language translations. Levels of education matter as well. 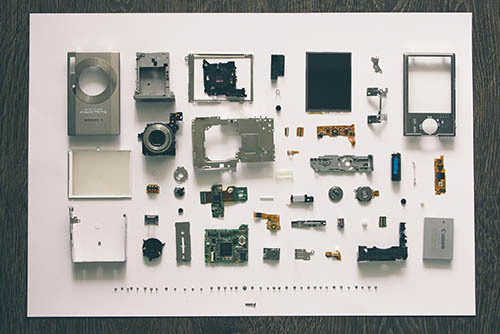 In many instances nowadays, instruction manuals use semiotics – a series of self-explanatory pictures or stylised diagrams to convey quite complex instructions. Apart from mitigating the need for numerous translations, these are designed to be understood in areas where literacy levels are low. The importance of colours is widely acknowledged in cultural references, especially those connected with grief or mourning. But even colours in the spoken word can cause some odd glances or responses. We use the phrase “green with envy”, whereas the Latvians, Italians and French use “yellow with envy”. In fact, in continental European languages, the colour yellow has many colloquial meanings and should be used with caution to avoid misunderstanding. But yellow isn’t all bad – in Germany, for example, “das Gelbe vom Ei” (the yellow of the egg) is used as a praiseworthy term. Our article on understanding cultural differences gives more pointers to the things you should consider when exporting to different cultures. For certain products, sizes have particular relevance and not just clothing sizes. Large containers of baby formula are eagerly recycled once empty in certain parts of sub-Saharan Africa with a significant sales impact recorded on the smaller ones. A manufacturer of luxury leather goods noticed a disproportionate sales dip in his lower-priced articles until the wallets and purses were re-sized to accommodate the local banknotes adequately. And when it comes to clothing, the smaller body frames of the Far East are now sensibly acknowledged. Naturally, it is not just products which may need to be modified. Packaging designers must be alert to the above considerations as must the designers of all promotional materials. Additionally in these spheres we must not overlook the sometimes critical importance of images in overseas cultures. For more information on things to consider when preparing your offering for overseas markets, check out the articles on modifying a physical product or a software/service.